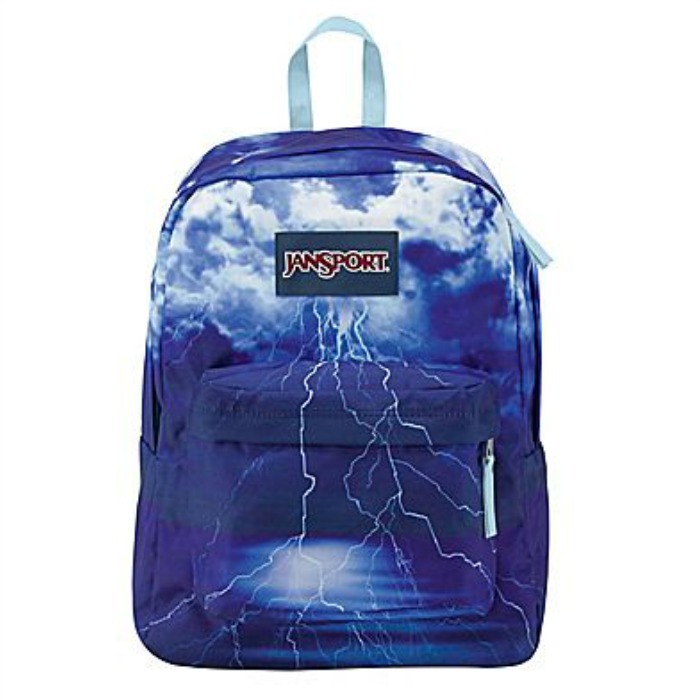 Jansport Lightening Strike Backpack Just $17.99! Down From $55! You are here: Home / Great Deals / Jansport Lightening Strike Backpack Just $17.99! Down From $55! Staples has this Jansport Lightening Strike Backpack on sale for $17.99 (Reg. $55)! The Jansport® High Stakes multi lightening strike fabric backpack features padded back panel for cushioning comfort, front utility pocket with organizer for accessories and large main compartment to store your things. It offers straight-cut, padded shoulder straps and web haul handle for convenient carrying. This backpack uses premium fabric for added durability and unique texture.